Back in September of 2016, indie game developer Fenix Fire Entertainment released their new open-world, space survival game titled Osiris: New Dawn. When I first saw the game’s trailer—which involved a band of interstellar colonists being ambushed by some creepy looking aliens in a sandstorm—I was instantly impressed. After picking one of several character classes (which feature very minor differences) I began a game. Immediately, I found that my spacesuit was leaking and that I had to repair it with some tape I found in my drop pod. After that, I re-pressurized my suit and began exploring the red-dust-colored planet (which mysteriously looks a lot like Mars) in order to scavenge for resources. But, let me back up and detail what Osiris: New Dawn is all about. In Osiris: New Dawn, you play as member of the second colonization team sent out into space by the U.N.E. (United Nations of Earth) in order to study planets that have potential for Earth-like living conditions. Your spaceship malfunctions after becoming damaged while emerging from its travels at light speed, and is forced to make an impromptu crash-landing on the red planet’s surface. In order to survive, player-colonists have to deal with the extreme dangers of the planet’s indigenous lifeforms, as well as its erratic and hazardous weather patterns (including meteor showers). Therefore, one of the first orders of business should be collecting some nearby resources so that you can erect a starter base. Once you get going and start to stockpile resources you can expand your colony structure further with modular units that enable you to grow food, create research centers, and even manufacturing bays. Eventually, you’ll begin to uncover the mysterious events behind the original Osiris – 1 team’s disappearance. There’s also a multiplayer component to the game that makes building up your base much easier, if your team knows what they’re doing, that is. I have to admit that when I first started playing Osiris: New Dawn, I was completely blown away by its visuals. Unlike its competitors, it is neither too cartoony like No Man’s Sky, nor too plain-looking like Empyrion – Galactic Survival. 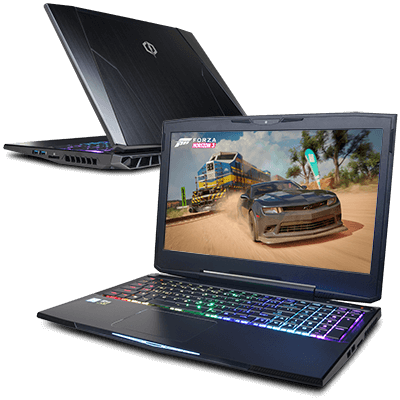 Its graphics were super-detailed and the game ran surprisingly well on my gaming laptop’s GTX 970 Gaming 4G card. As a matter of fact, I can’t think of a better looking game until Subnautica debuted in January of 2018 (a game which plays surprisingly similar to this one). When Fenix Fire released a large update which introduced more base structures and walls, stability basically went to hell in a hand-basket, because I went from getting around 60 FPS to only getting around a quarter of that. Unfortunately, that was over a year ago and the devs still haven’t patched the game up adequately, which is a real shame because this is a beautiful game with a ton of potential. As a matter of fact, instead of attempting to fix the glaring stability problems, they’ve seemed to double-down on releasing additional content. This has resulted in their player-base essentially evaporating into the ether. Where once my gaming friends and I would build up our base and then contest nearby areas with other player-colonies, our dwindling group found ourselves on virtually empty servers and the only threats we faced were of the AI variety. Although Osiris: New Dawn’s various AI beasts can be quite a handful to deal with, there’s nothing quite like going having to contend with (and hopefully outsmart) other real, live humans, such as in games like Conan Exiles and Miscreated. I recently tried to play a game of Osiris: New Dawn to see if any progress had been made, and although all of the servers were empty, I still only managed to get a very low FPS. To be fair, Fenix Fire is apparently in the process of adding a veritable plethora of new content—including new colonizable planets—so the game’s low stability and weak optimization is understandable. However, only time will tell if they’ll be able to lure back the burgeoning player-base that Osiris: New Dawn once had.